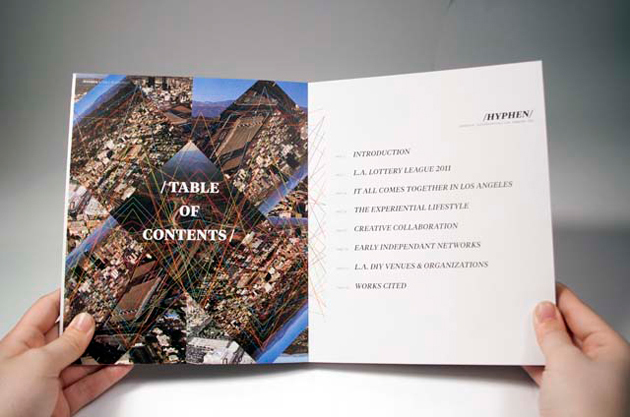 The L.A. Lottery League book compiled & designed by Amy Fortunato. 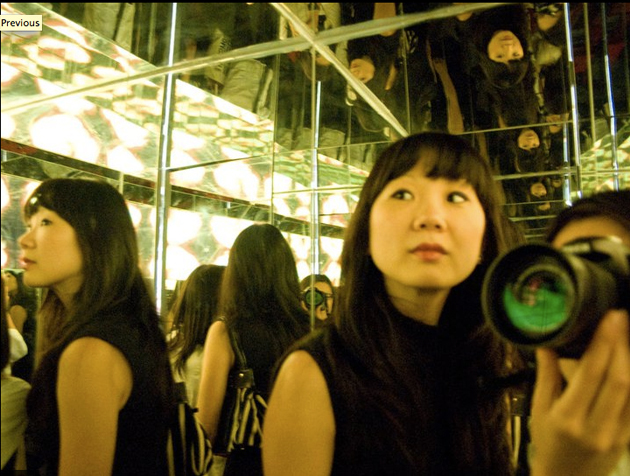 A lover of live music and a superhuman eye for good design, Amy Fortunato is a left-handed wonder born in South Korea and raised in a tiny beach town right outside Santa Barbara. Currently living and working in central Los Angeles, Amy is a major contributor to the success of February’s L.A. Lottery League with her book “/HYPHEN/” first published in May of 2011. She is as versatile as she is adorable, appropriately addicted to caffeine, and never turns down an opportunity to wear tiny hats. What is “/HYPHEN/”? How did this book come about? 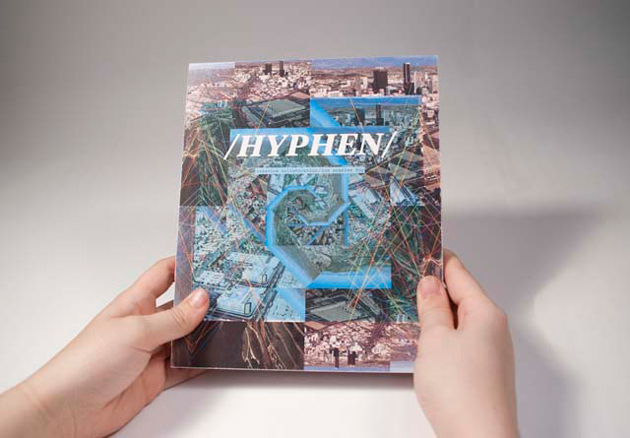 /HYPHEN/ is about creative collaboration in the DIY scene in L.A., and specifically documents the L.A. Lottery League as a way of illustrating it. It’s a portrait snapshot of an event, of a time, place and the people in it. 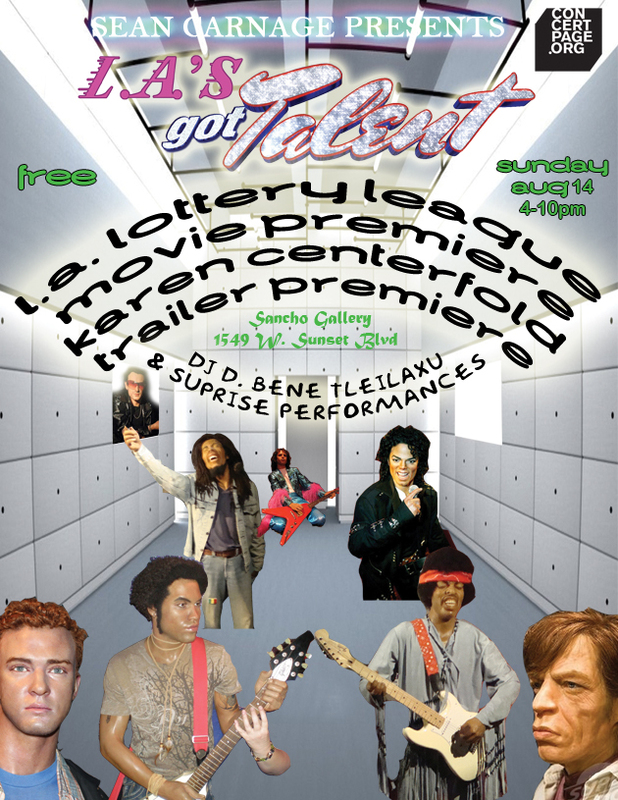 This was the result of my senior thesis at Otis, but ultimately the Lottery League was my way of encompassing everything I loved about LA; diversity and creative collaboration over a disparate entanglement of identity and location. I’m really interested in relationships between people, particularly of a creative nature — and the potential of crossing over mediums and going out of comfort zones. Hyphens join things together, as well as slashes….hence /HYPHEN/. How much of it is related to the L.A. Lottery League? The vast majority of the book is about the L.A. Lottery League and the participants who I was grateful to have gotten to interview and know. Being one person and operating this project independently (with 7 other classes and work to worry about)…it was really hard to track down and have time to really get in deep with everyone. A lot of the most interesting content comes from interviews I had with at least a fourth of the participants who generously shared their time and thoughts with me. This book wouldn’t have been possible without them – which is why they’re thanked at the end! 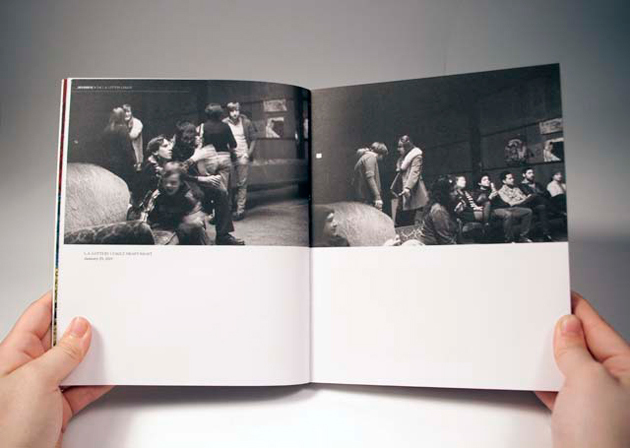 The other content in the book was primarily to validate this as an academic work, placing this DIY scene in LA in a geographical/sociological/historical context. How long did this take to realize? Hmm, the whole process of discovering what it was I wanted to make a book about, and what I wanted to accomplish — took about 8 months. The documentation and design of the book took from January to April. Honestly there was so much back and forth with design decisions that I really feel the book started to come together in the last weeks of many sleepless nights and a manic obsession with finishing. How much of your life is related to books and other kinds of art? Pretty much all of it. 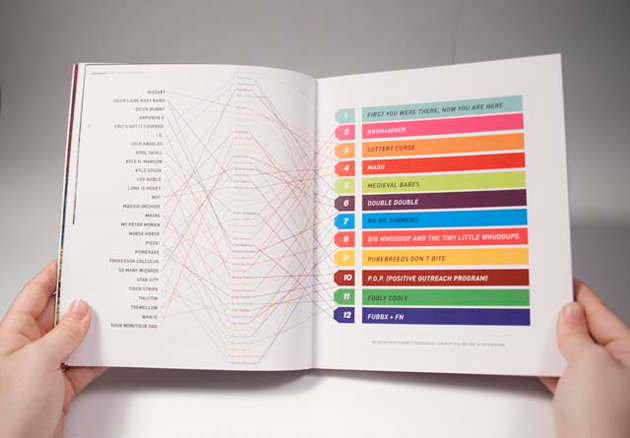 I’m working for a design studio that specializes in books that are often for the realm of art and culture. In my free time, everything I enjoy has some sort of relation back to art or aesthetics – or the meanings behind them, whether high or low. All the players & participants are represented. Where did you get your training from? I came from a fine arts/creative writing background before I arrived at graphic design which I studied at Otis College of Art and Design. Photography was something I studied in school, but never as a major concentration. One of my most recent artist-hero/instructors was someone whose class I took simply based on the fact that she documented a lot of the early punk scene in LA. Your range crosses over a few different mediums, what are they and which one is your favorite? I really enjoy photography, but have never desired to be a commercial photographer nor take it too seriously. Design is something that’s everywhere, but I am really interested in typography and type design. Mostly I want to make books – and soon hopefully, a zine. What artist/designer do you admire? Too many to list, but I am excited to be working for one of my favorite book designers. What are some bands you grew up listening to? I grew up in a house with a lot of Fleetwood Mac, some Beatles and the Top Gun soundtrack. Once I was able to be influenced by musical tastes other than my parents it was onto the likes of The Ramones, X-Ray Spex…pretty typical stuff. What bands are you enjoying right now? Lately I’ve been listening to some Crystal Stilts, Belong and undoubtedly there will be some New Order in the mix. When I’m not listening to “No Culture Icons” on repeat that is. /HYPHEN/ creator, Amy Fortunato. Photo: Simon Sotelo. Do you follow any blogs for inspiration? Which ones? I don’t follow too many blogs religiously. I enjoy the typical design rigamarole…For Print Only, Design Observer, but more often than not I tend to be more interested in what friends are doing and their blog updates. It’s always inspiring to see self-initiated projects and creative process. Hmm…work has been taking up most of my time (designing books! ), so I haven’t had as much time as I’d like for personal projects. I enjoy drawing/doodling when I have a spare moment, but lately creatively have been doing a lot of freelance letterpress work with No Kings Record Co.
serif/sans serif; What do you prefer? I think I’m typically drawn to serifs, but really do love mixing the two! You thought being there in person was fun—wait till you see it on film! Also includes the Karen Centerfold documentary trailer premiere. You don’t want to miss this special event! •4pm: Best of the video matinee! •5:55pm Premiere: The legendary Del Talk Show returns!